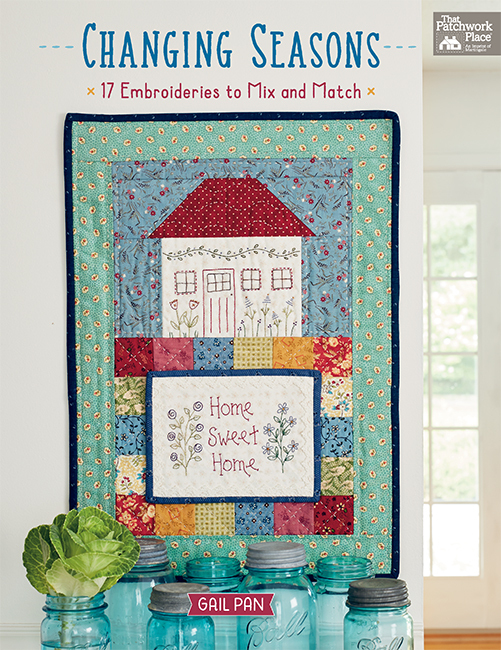 It seems like there are countless ways to appliqué—by hand or machine, with turned-under or raw edges, using freezer-paper, back-basting, fusible web, and more! But there’s one way to appliqué you may not have heard of—the Apliquick way. 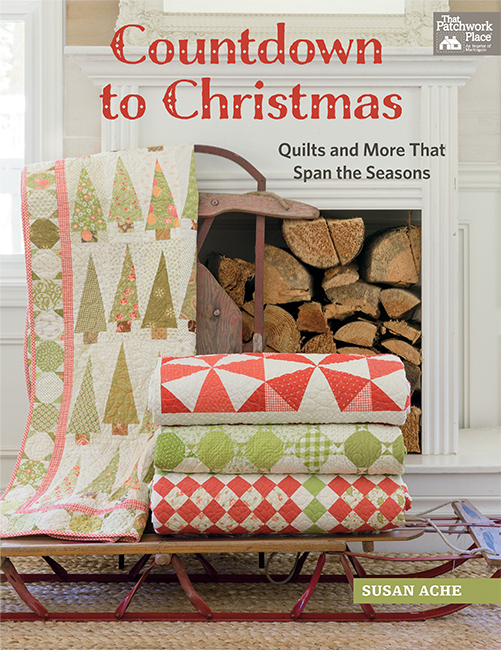 The Splendid Sampler 2 co-author Jane Davidson (with Pat Sloan) recently introduced us to the Apliquick method of appliqué, and it looks intriguing! The Apliquick company is based in Spain, and the Apliquick Rods shown in the video below were developed by Olga Rosa; you can find them at your local quilt shop or online. 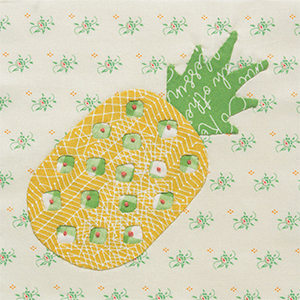 Take a look at the technique, where Jane shows us how she appliqués her Fashionable Pineapple block from the book. Have you tried using these rods? Turn under, glue, and stitch. Hmm, the Apliquick method of appliqué is looking satisfyingly simple! 100 Blocks + 1, finished size 72½" × 72½". 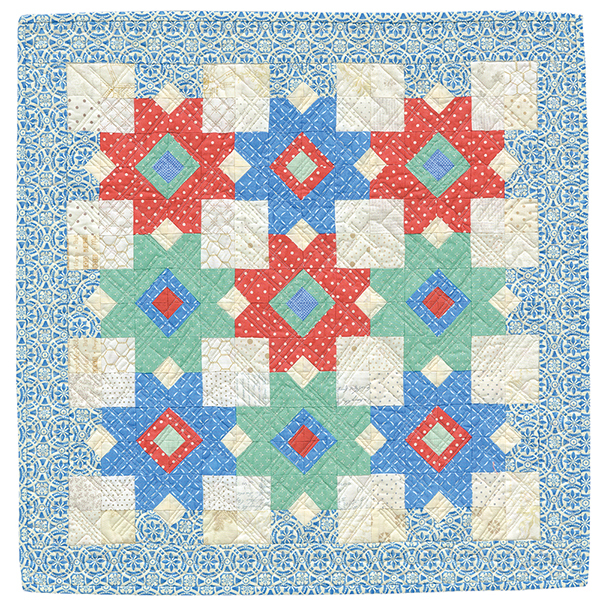 Designed and pieced by Jane Davidson and Pat Sloan and quilted by Jane Davidson. Heart and Hands, finished size 52½" × 56½". 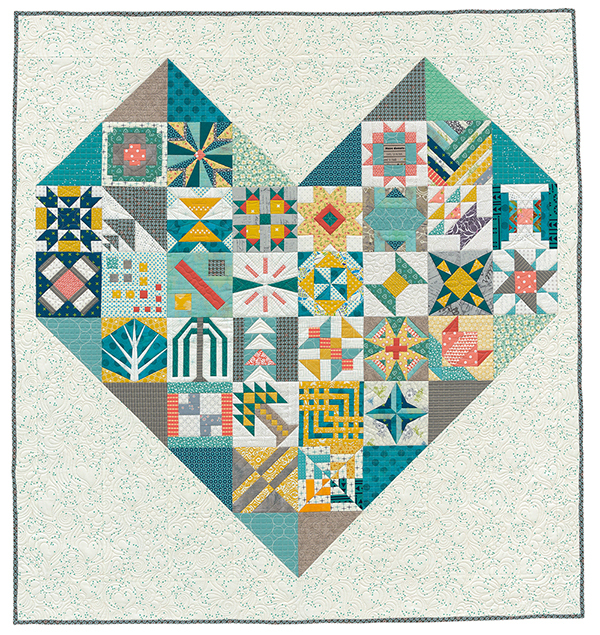 Designed by Pat Sloan, pieced by Melanie Barrett, and quilted by Shelley Pagliai. 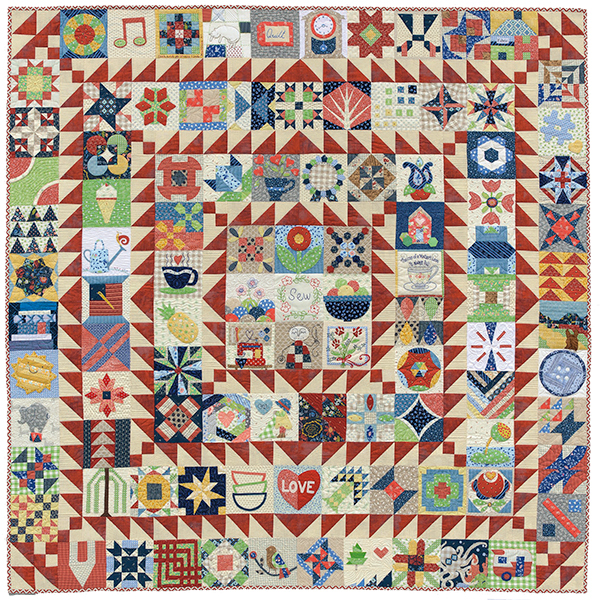 Nine Patch Dance, finished size 25½" × 25½". 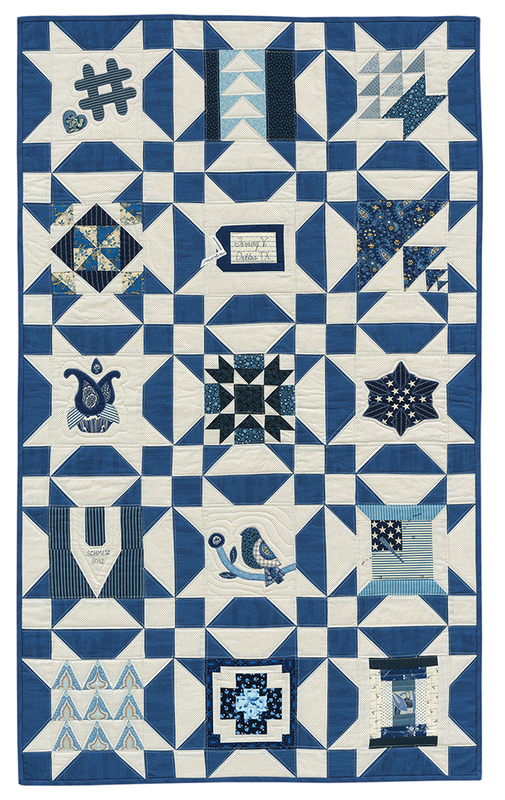 Designed, pieced, and quilted by Susan Ache. Lovin’ the Blues, finished size 30″ × 50″. 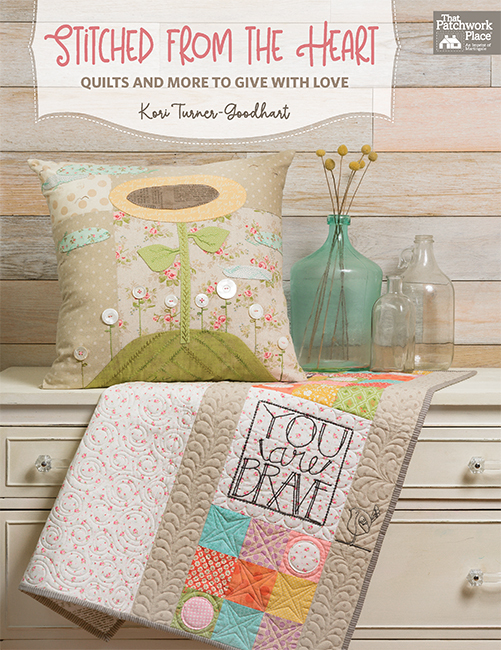 Designed, pieced, and quilted by Tammy Vonderschmitt. Make a big sampler or make it small . . . make just a few blocks or make them all! Have you tried the Apliquick method of appliqué? What’s your favorite appliqué technique? Tell us in the comments! What is the paper product used for the applique technique? I am currently working on a project with fusible webbing they only way I know how but I am intrigued with the appliquik and will have to give it a try. This looks interesting. I have always been afraid of hand turned applique. The tools used look like them help a lot with the process! I would try this methoed for sure! I’ve been using the Apliquick method for a few years and love it. I met Olga Rosa at a quilt show where she was demoing her products. She made it look so easy and, as it turns out, it is! It looks like a great way to do Applique. Other than wool applique by hand (which I enjoy), the tiny amount of cotton applique work I do is by machine. I usually use a fusible webbing on my applique but I recently got the Apliquik tools at Quilt Festival in Houston. I am anxious to begin working with them. It looks very easy to do so I’m ready to give them a try. I have not tried the appliquik method but will give it a try. To be honest, I haven’t tried any kind of applique; people who do it can’t say enough about it, though, so it’s definitely on my to-do list!! I kind of use the apliquik method, but I use a skewer and it seems to work great. I am also using the wash away paper for the first time on the quilt I am making now. Hope it works! I like the basting from the back method. I did not think I would like it at first, surprise, I can do wonders with it. I have tried needle turn applique and I like it too. I have not tried this method; nor have tried any method to have a favorite way to applique. Being left handed, I get confused with many directions. I have been watching this tool for several years… it looks amazing, unfortunately I do not own one yet. Machine blanket stitch is the extent of my applique skills. I have done raw edge applique on my sewing machine but I have not seen the Appliquik method. Looks interesting. My favorite method is needle turn applique for my "slow stitching" project. I’ve not tried any form of applique but would like to learn. I think it adds so much to a block but I’ve been too intimidated to try. Back in the 80’s I learned needle turn applique. I’ve tried fusing, raw edge and machine none of which I don’t care for. This looks interesting, with the fusible that washes away. I have never tried this method. It looks very interesting. The rods look like they work very well. I have used a variety of methods: freezer paper, fusible web, glue stick. and both hand and machine. I choose the type that best suits the job. This technique looks very interesting and similar to the template/starch method, but not as messy and no chance of burned fingers with the mini clover iron. I love using the apliquick method. I’ve found it to be a nice, clean and easy way to do applique. I’m working on a project now where I’m using it. I’m not really into appliqué. I have tried needle turn, and a few other methods. But not Appliquick. I’ll have to try it.